ZÜRICHescape Voucher: the Perfect Gift for Everybody! … you give away 60 minutes of fun, excitement and joy – all in one package. … ZÜRICHescape has something for everyone. No matter if you have strong or weak nerves. … giving away an exciting time together with families, friends or colleagues. … you get a handmade gift certificate from us. Suitable for any occasion (birthday, Christmas, wedding, etc.) and on request also personalised and with a dedication. 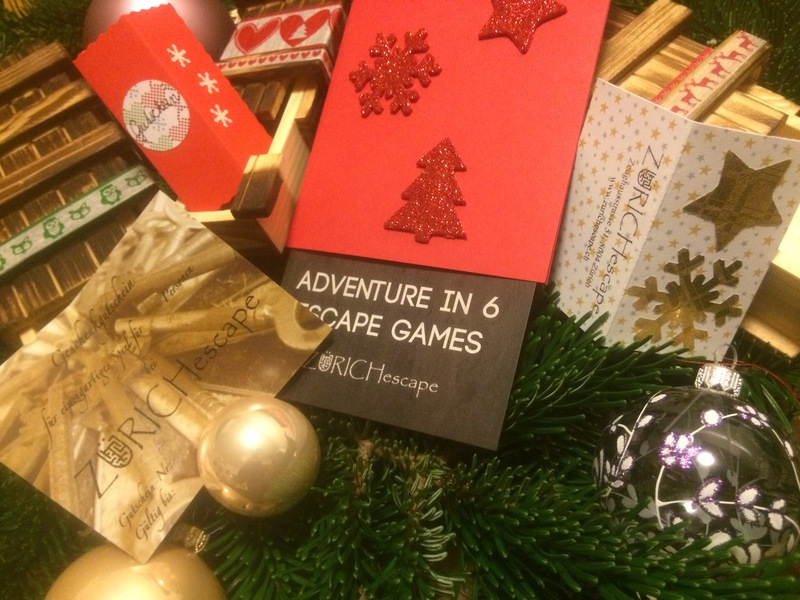 … the recipient can decide which Escape Room or Escape Mission they want to play. … our gift voucher can be ordered online right here. You can either send it yourself or we can send the package directly to the recipient. Please fill in the form if you’d like to personally pick up the voucher and pay for it on site.